Extreme weather, natural disasters and the failure to mitigate and adapt to climate change were all in the top five global risks in terms of impact, according to the global survey. The report is based on the perceived risks from nearly 1,000 experts from around the world, most of whom were European men with expertise in economics and technology who worked at a business organization. In terms of likelihood, weapons of mass destruction aren’t on the list of top 10. Though the fear of war has increased as a result of the ongoing feud between President Donald Trump and North Korea's Kim Jong Un, environmental concerns have been prominently noted in the top five risks since 2011 in terms of both likelihood and impact. Extreme weather events were the second most likely global risk for 2014, 2015 and 2016—but were the number one risk in terms of likelihood in 2017 and 2018. 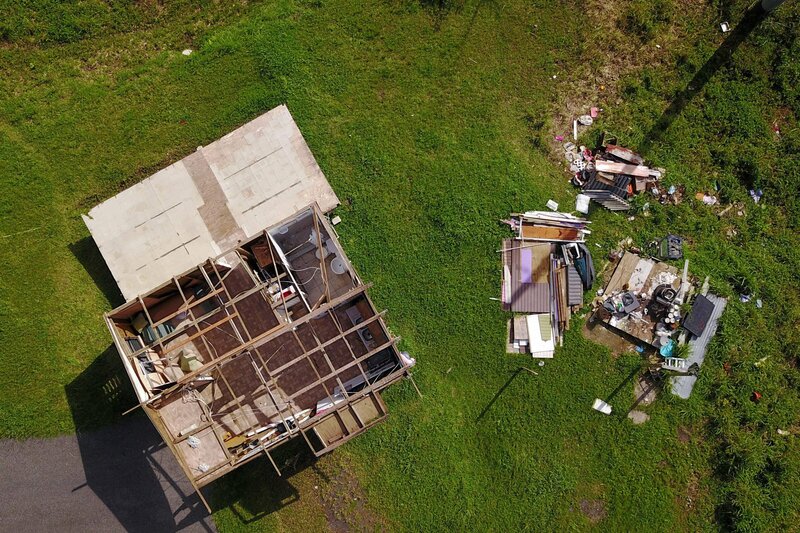 The report noted that the "impact of Hurricane Maria on Puerto Rico has starkly illustrated" how environmental problems can result in devastation of crucial infrastructure. In 2016, nearly 24 million people were displaced from their homes due to weather-related events—which were over three-quarters of all people displaced that year, according to the report. California, Chile and Portugal had extensive wildfires in 2017, with over 100 deaths in Portugal recorded. Rising global temperatures and heatwaves could devastate food supplies, according to the report. More than three-quarters of the world’s food comes from 12 plants and five animal species—which highlights the world’s vulnerable food system. The report says there is a one in 20 chance per decade that heat, drought and floods will result in “widespread famine and hardship” as a result of the failure of corn production in the U.S. and China, which are the world’s primary growers. Technology-based concerns, including cyberattacks and data fraud, and theft were also in the top 10 among 30 global risks that could affect us over the next decade, according to the 1,000 experts and decision makers surveyed. Other events that pose a risk include large-scale involuntary migration, man-made environmental disasters, terrorist attacks, illicit trade and extremely overpriced assets, including housing, in a major economy or region. Top risks in terms of impact that were not also included in the top 10 risks in terms of likelihood were water crises, food crises, biodiversity loss and ecosystem collapse, and spread of infectious disease.